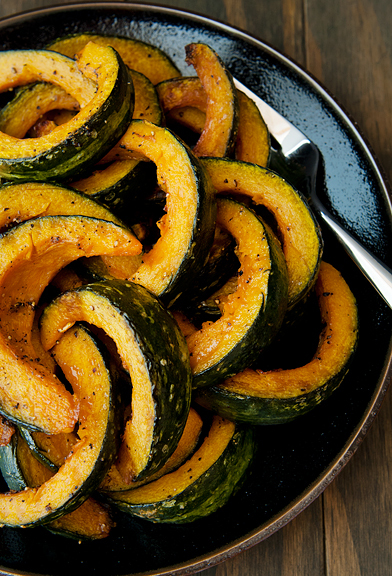 Slicing the squash is the hard part. 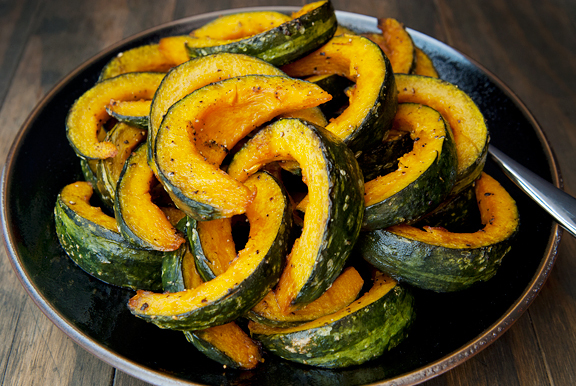 Once that is done, toss the slices with olive oil and salt and pepper in a large bowl. 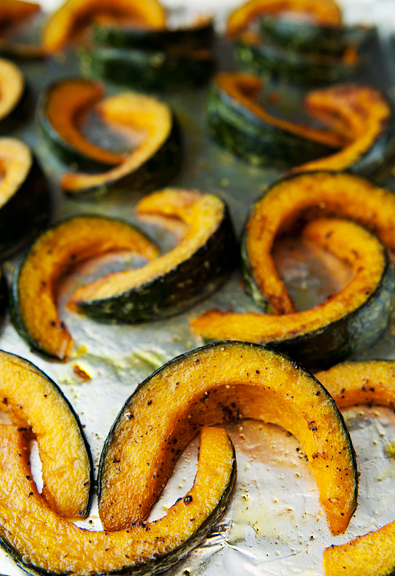 Make sure the seasonings and oil are well-distributed among the squash. Arrange the slices on a baking sheet or baking pan in a single layer. 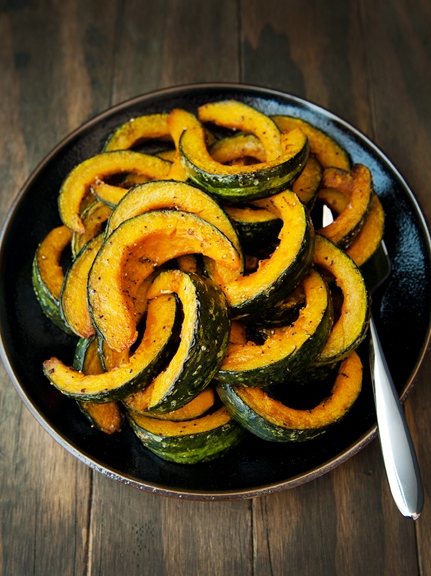 This maximizes the crisp, slightly caramelized surface area of the roasted kabocha squash. Roast the first side, then after about 20 minutes, flip the pieces until the bottoms are nice and golden – about another 15 minutes. 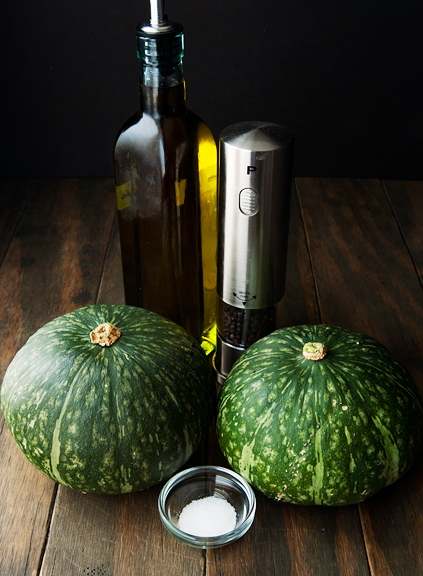 I’m a big fan of butternut squash, acorn squash, sweet potato, delicata squash… But kabocha squash is probably my favorite when you consider flavor, ease of preparation, edible skin, and a creamy texture that I just can’t get enough of. And it’s good for you! 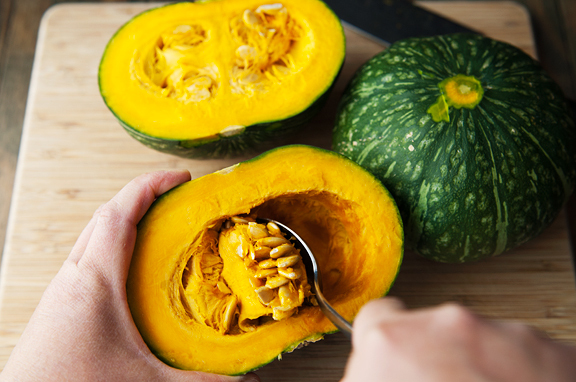 So if you are looking for something a little different for your table or simply want to try yet another most excellent squash, I highly recommend kabocha squash. It’s like candy without the added sugar or marshmallows. Preheat oven to 400°F. 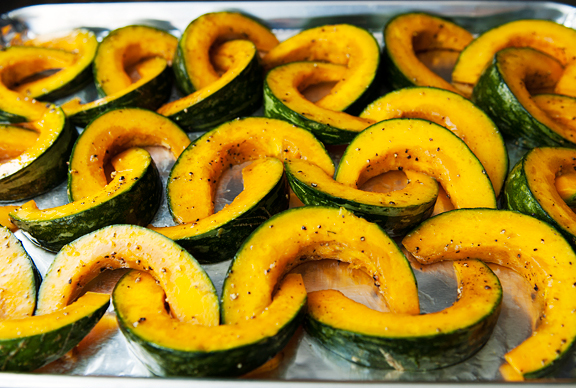 Wash the outside of the squash. Carefully remove the stem. I use a paring knife to cut at a shallow angle around the base of the stem then pop the stem off with my fingers. 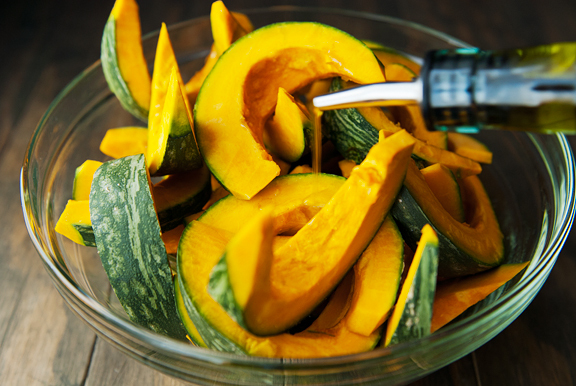 Using a sharp knife, carefully slice the squash in half longitudinally (through the stem base). 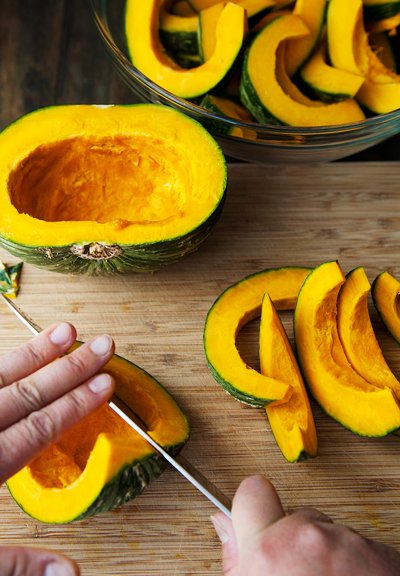 The kabocha squash is hard, like its cousins, so please use caution when taking to it with a knife. Scoop the seeds out with a spoon. Cut the halves in half (to get quarters) and trim the stem/ends from the corners. Slice the quarters into 1-inch thick pieces. 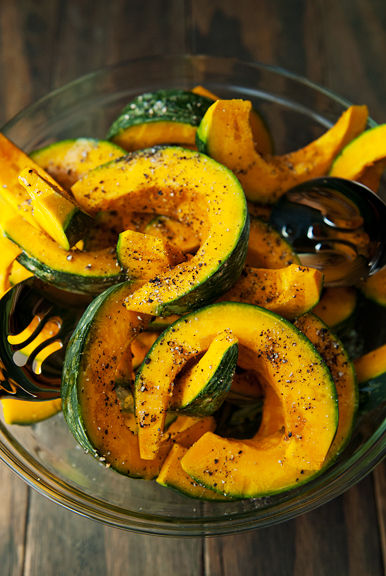 Place the slices in a large bowl and toss with the olive oil, salt, and black pepper. Arrange the slices in a single layer on a rimmed baking sheet. I line my baking sheet with foil for ease of clean up. Roast for 20 minutes, then flip the pieces over and continue to roast until lightly browned and fork tender (about 15 minutes for me). Serves 4-6 as a side dish. I recently read through Six Seasons by Joshua McFadden. He recommends microwaving hard squash before cutting to make it easier to cut through. For a pie pumpkin, he suggests three minutes on high, letting cool slightly, then cutting. It doesn’t really cook it, but it’s much easier to slice. I’ve used this trick twice on pumpkins, and once for two minutes on a small butternut squash, and it’s a game changer. Happy cooking! That is a brilliant idea bout the removable splashback. Can you please do a DIY post about it when you do it? I know the next house we will be redoing the kitchen at some point, and I just showed your comment about the removable splashback to the husband and he thought it was brilliant as well. I have been watching NHK (Japanese) network recently at home, and am fascinated with the programs featuring Tsukiji Market. One of the programs was all about squash and the Japanese adoration of it, in particular the Kabocha. I see them at my local Asian Grocery store, but always think It’s too big for just me. I found another recipe on your site for it, using a braising method. I think I’ll jump in and try half one way, and the other half the other way. Both look wonderful! 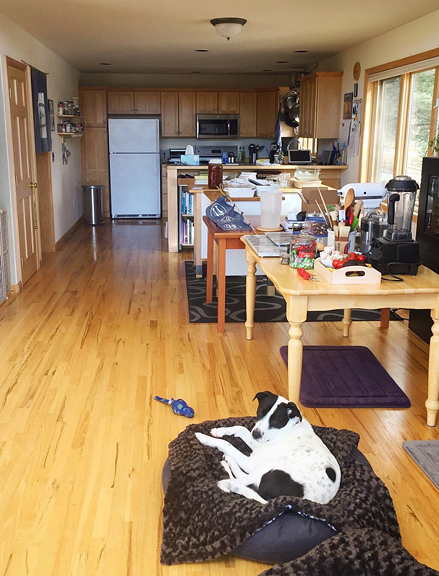 Btw, your kitchen looks beautiful!! 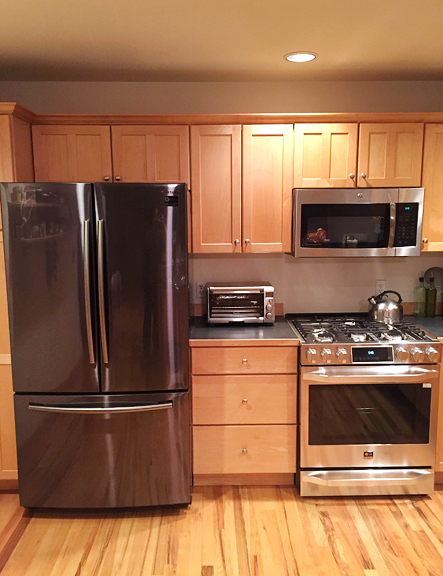 Love your appliances!! I have looked in vain for kabocha squash for years. We finally have a Whole Foods near places I go somewhat regularly, so I will go take a look. I just had a friend from Australia visiting, and she really wanted to see Whole Foods, so I took her to the one closest to me. Then we went to Miami together to visit a friend and, while he was working, we went off to have breakfast and found a Whole Foods that we checked out. And there was one across the street from our hotel. So now she is probably thoroughly sick of WF, and I am wishing more than ever that there was one a little bit closer to me! Betsy – That’s a great tip, thank you! angelitacarmelita – Thank you! And you’d be amazed at how long the kabocha lasts. I sometimes cook half, wrap the other half in plastic and keep it in the fridge for another 4-5 days before I am ready to use it again. Also, it is FANTASTIC tempura fried or even steamed and tossed into a bowl of ramen. 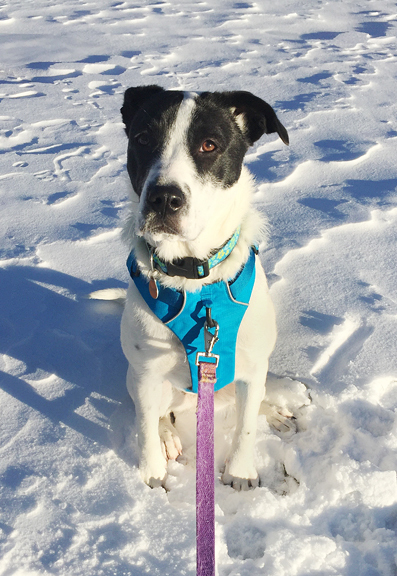 Marissa – Well that sounds incredible! Kristin – I have a love/hate relationship with Whole Foods. Sometimes they carry those things that are hard to find. Sometimes they charge me double for the same damn hunk of cheese that I can find at Trader Joe’s. But they always leave me wondering what the hell I bought when the bill rings up to triple what I think it should be! Ha ha!